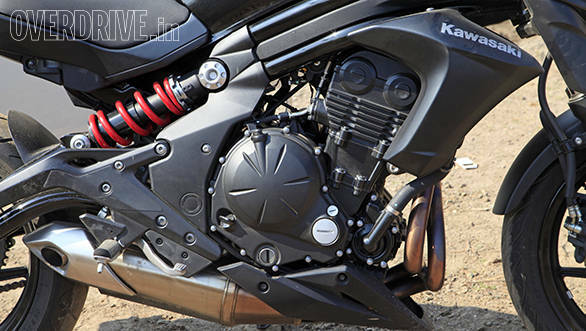 Kawasaki's on a naked bike binge and not only did they add the Z250 to the Indian lineup, they also added the ER-6n, the naked version of the Ninja 650 to India. That basically leaves the Versys 650 and the new Vulcan S cruiser as the two motorcycles based on the Kawasaki platform to not be on sale here. We're betting it is just a matter of time before they arrive as well. In the meanwhile, here is the ER-6n. The ER-6n is the naked version of the Ninja 650. It uses that very tubular frame, identical tubular swingarm and same-to-same 650cc parallel twin. This is a good thing because I firmly believe that the Kawasaki Ninja 650 is perhaps the most India-appropriate affordable big motorcycle on sale right now. It's very, very enjoyable. The 72PS twin has always been able to produce torque with absurd ease and that remains, for me, the shining highlight of this motorcycle. 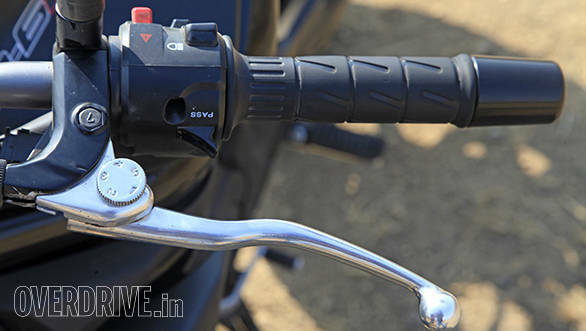 There's always thrust, a hint of throttle away and it makes riding this in traffic remarkably easy. Out on the highway, similarly, the torque allows the ER to sit at big speeds with ease while the huge tank spaces out the fuel stops nicely. It does feel a bit heavy - and it is - at slow speeds but you'll get used to that. 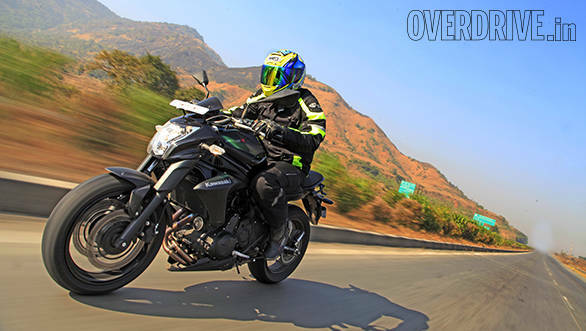 The Ninja 650 was a good, stable, trustworthy cornering machine and the ER-6n is no different. 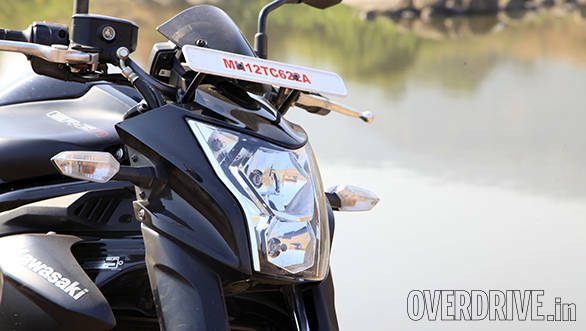 It isn't designed for being sporty but it is designed to be versatile. 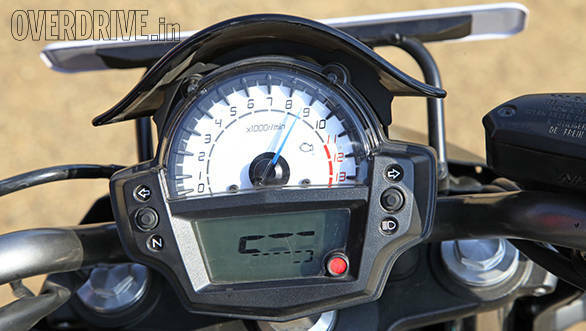 What that means in the corners is that the bike's reactions are predictable and despite the torque, going quickly around corners is easy to get a hang of. 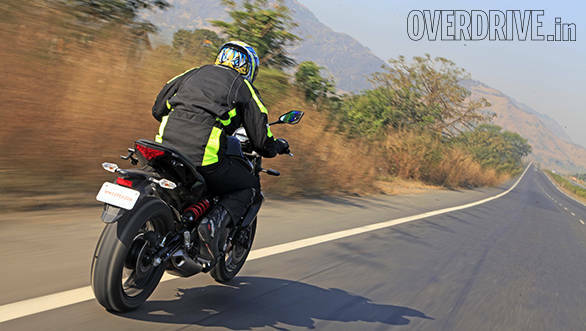 Ride quality is pretty pliant for the power but full-on plush the ER-6n is not. Brakes again, are strong and useful but India still does not get ABS. Well, from the time I laid eyes on it, I've held the ER-6n to be un-pretty. Seeing it in the flesh and enjoying its calm chassis and delightful engine has failed to change my mind about how it looks. I think that headlight, just the head light, if changed will work wonders for how the bike looks. But aesthetic issues apart, the ER-6n does have one, solitary issue that you'll have to deal with. And that is the lack of a fairing. I know you're going to point out that a naked bike doesn't have a fairing. What I mean is that for a motorcycle this fast, that fairing is fairly critical to its highway ability. The lack of it hamstrings the bike's ability to sustain high speeds and to me, that's a critical thing to consider when making a decision. I've always maintained that the Ninja 650 is a terrific motorcycle for our country. It's fast, it's easy and it can handle our chaos rather calmly as well. 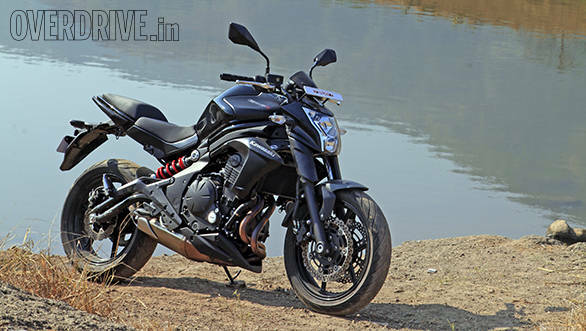 The ER-6n takes that same sweet package, loses the fairing and drops Rs 40,000 off the price tag. You could get it for as little as Rs 5.28 lakh on-road Pune. That's a pretty sweet deal. But if I'm honest, the really good deal is actually to splash out the extra cash on the faired Ninja 650. It's as good as this bike but just a little bit more useful.